If the sheer beauty and buzz of yoga makes you want to try it, go for it! 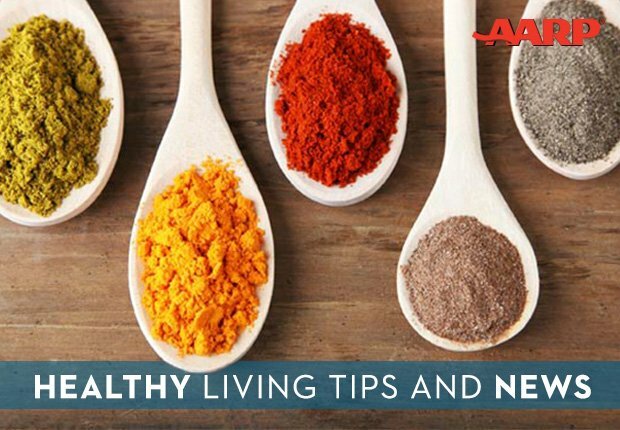 The benefits of practicing are plentiful, from improving flexibility to relieving stress. While gear and classes can be expensive, there are affordable options out there. Click through the photo gallery above to see what tools you need to jump-start your journey and then read the article below on ways to try yoga on the cheap. 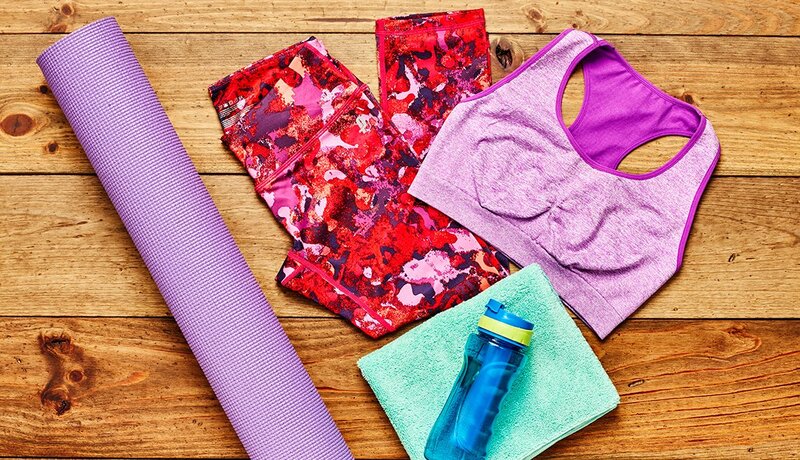 Ready to strike a Downward Dog? Let’s go. 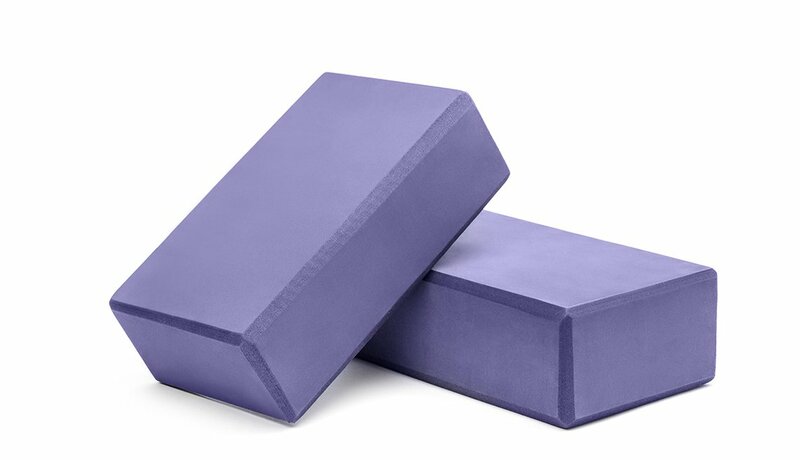 The rectangular sticky mat is essential for practice, and regular yogis usually own one. Prices vary depending on the material used, but they can range from about $20 to $140. Blocks and straps help support particular positions or make it easier to get into a pose. They are available in most studios or gyms, but both can be found for between $10 and $20. 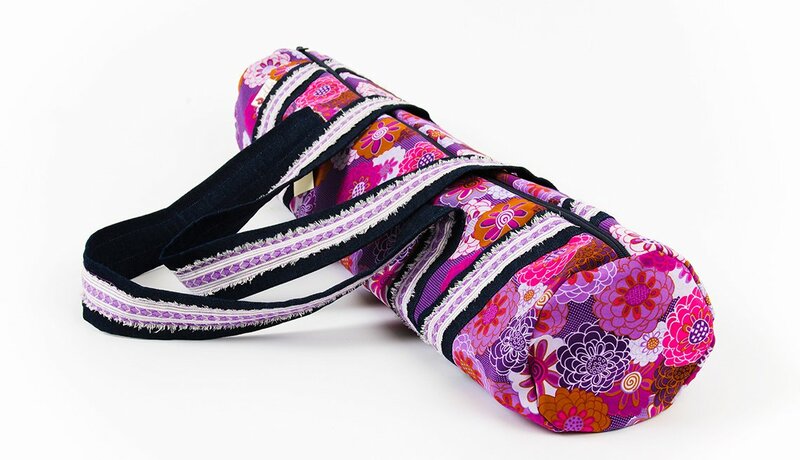 Over-the-shoulder bags and slings are convenient for toting bulky mats to class. Online shopping sites offer a wide selection in style and price, from as low as $7 or $8 to $50 and up. A blanket or bolster is handy for elevating or cushioning parts of the body for certain poses. 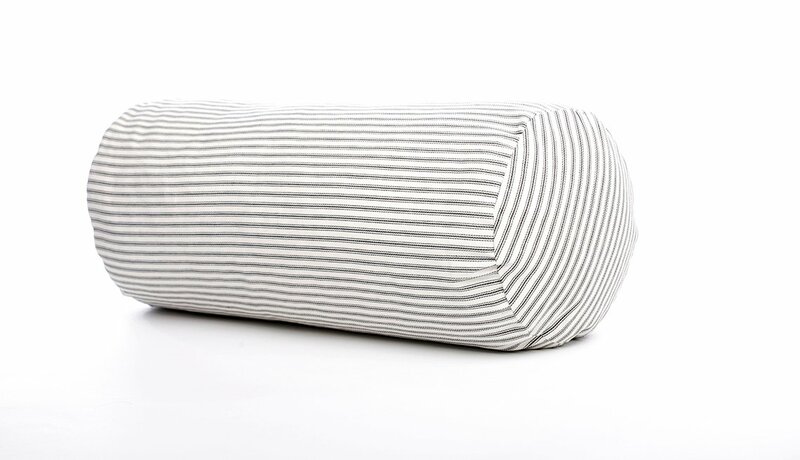 You can use any blanket or buy a lightweight tube or rectangular-block-shaped bolster for $20 and up online. These are also available at most studios. Especially if you’re doing Bikram or another style of hot yoga, you’ll want a quick-drying towel with a rubber back to cover the mat so you don’t slip. Prices online begin at around $15. 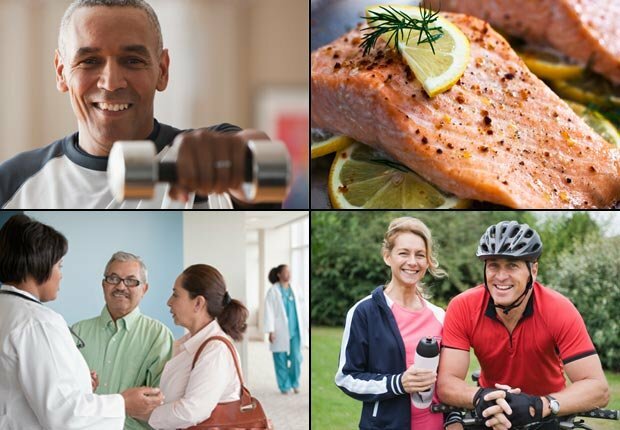 Athletic wear or loose-fitting pants and tops are recommended — the key is comfort and flexibility. You can pay up to $100 or more for high-end tights, but there’s no need. 1. Groupons or new-student specials. Most yoga studios have new-student specials that offer big discounts on normal rates, says Andrew Tanner, chief ambassador for Yoga Alliance and a yoga instructor in the Boston area. A typical deal might be 30 days of classes for $30 or a set of five or 10 classes for half price. 2. Create your own yoga group. “Want to be a yoga studio owner’s dream come true?” Tanner asks. “Gather seven to 10 friends and ask a local yoga studio if they will create a weekly class just for you. A private yoga session typically costs $75 to $125. Divide that by your group number, and you’ve got yourself a pretty good deal.” Tanner notes that most studios have space during daytime hours between 11:30 a.m. and 4 p.m., when the studio is unused. 3. 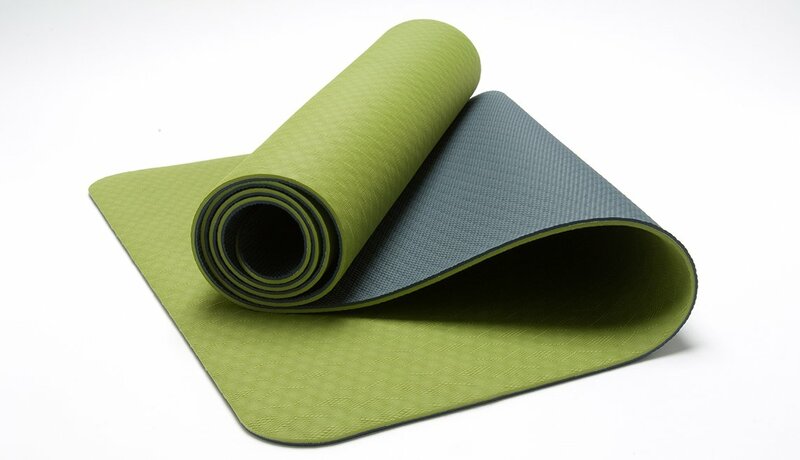 Free or discounted yoga in parks, libraries and recreation centers. Cities from Minneapolis to San Antonio offer inexpensive community yoga classes. 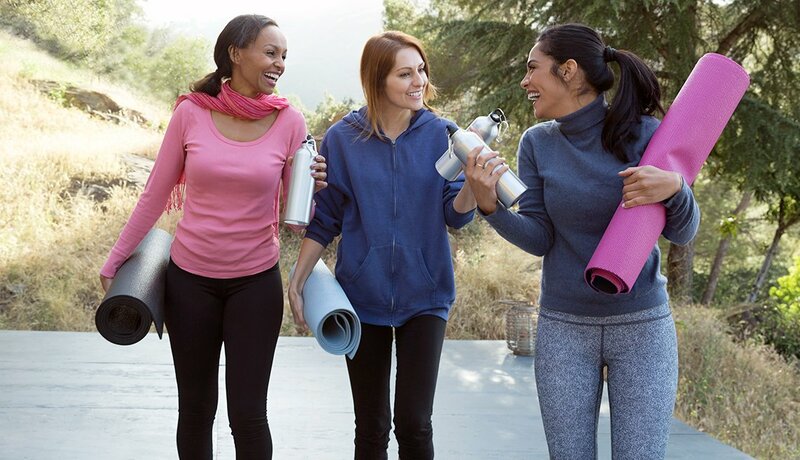 In the summer you often can find yoga gatherings in city parks, often sponsored by yoga gear companies such as Athleta or Lululemon or by yoga studios. New York is especially rich with options: You can join a free yoga class in Bryant Park on Thursday evenings and Tuesday mornings, for instance, and there are also classes around the city organized by the New York City Department of Parks and Recreation. Check with your town’s parks-and-rec department and public library system to see what’s available. 4. Gyms. If you already belong to a gym, consider its schedule of free classes. There are many wonderful yoga teachers at gyms who develop a devoted following among members. You might ask fellow members for class or teacher recommendations, and find out the style and level of the class before trying it out (although good teachers will show beginners how to adapt more complicated poses to their abilities). 5. Free or discounted classes organized by yoga enthusiasts. There are some yoga fans who believe the practice should be available to all, regardless of age, skill level or ability to pay. 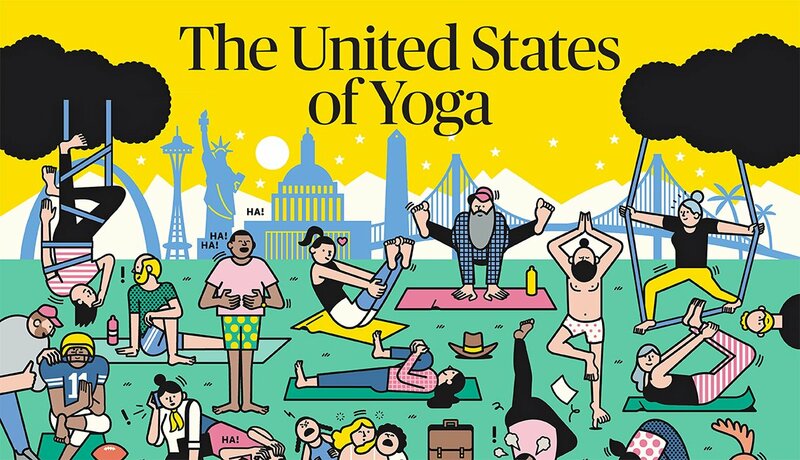 A group called Yoga to the People has classes in San Francisco and Berkeley in California, and in Tempe, Ariz., with teachers typically asking for $10 or $12 as a suggested donation per class. City Yoga offers free “studio-quality yoga in public spaces with no strings attached,” and currently operates in Washington, Baltimore, Pittsburgh and Fort Collins, Colo.
6. Online yoga. Most online yoga subscriptions are under $20 for unlimited yoga. Tanner’s favorite online yoga provider is YogaGlo. “Their teachers are highly skilled, the website is simple and easy to navigate, and they have great programs for beginners.” It’s $18 per month, but your first two weeks are free. Another option is Gaia. There’s also an endless amount of free yoga online, including DoYogaWithMe. 7. Yoga apps. If you’re able to motivate yourself at home, there are also apps galore. An excellent free app is Daily Yoga, which offers 50 different yoga sessions. You might also try Down Dog and Simply Yoga.